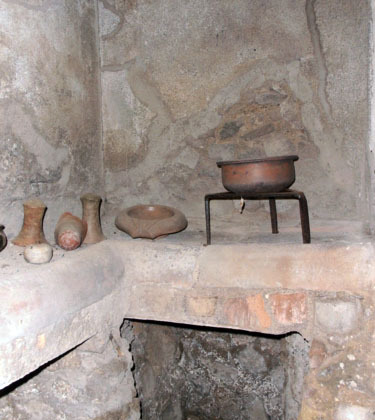 primae mensae The main course consisted of roast and boiled meat, poultry, game served with highly spiced sauce to help conceal the taste of food that was not fresh and to show off the wealth of a host who could afford costly seasonings. 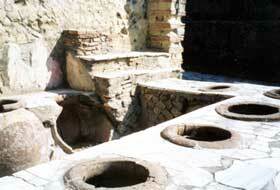 thermopolium L-shaped bars with inset jars to hold food and keep it warm. A type of fast-food restaurant.